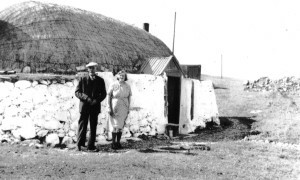 Black & white photograph of ‘Taigh Fionaghall’, Balemartine, with “Aunt Margaret” at the door, in the summer of 1934. 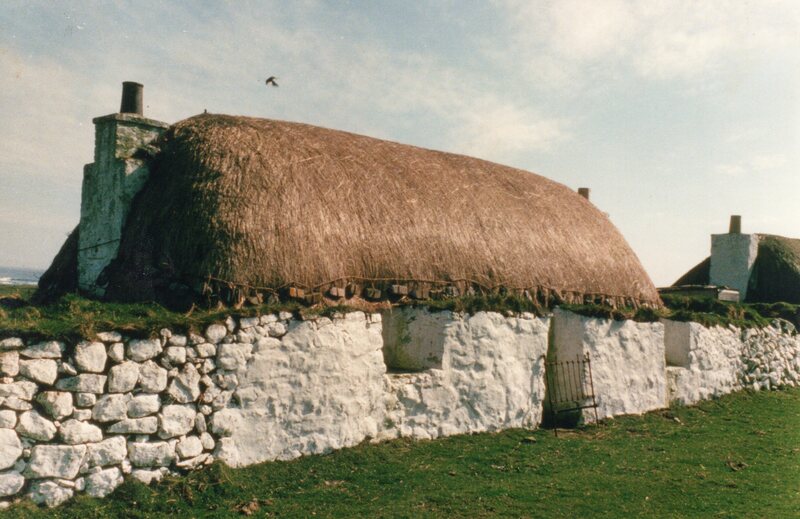 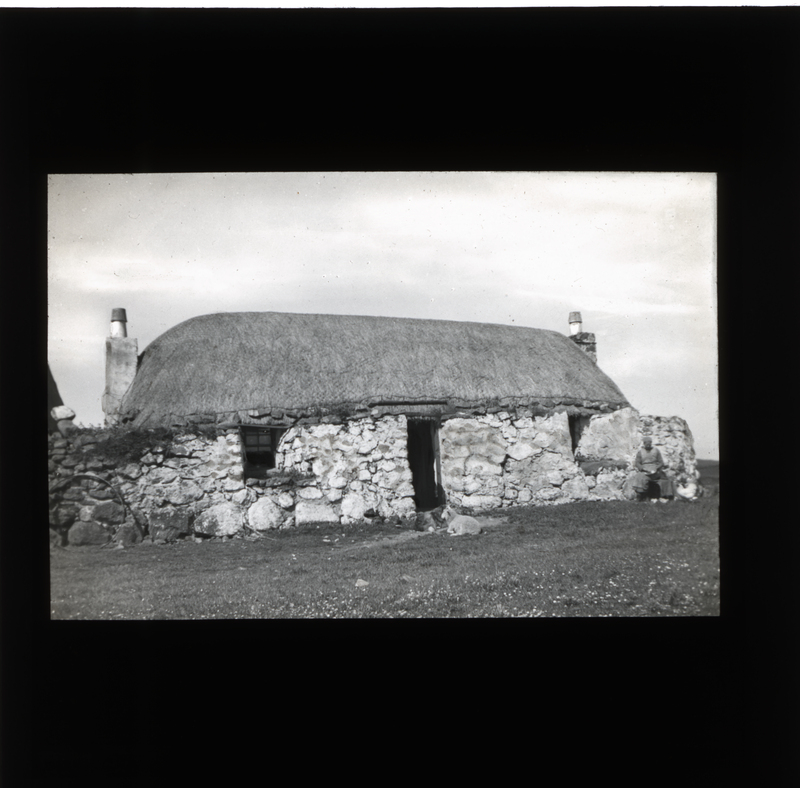 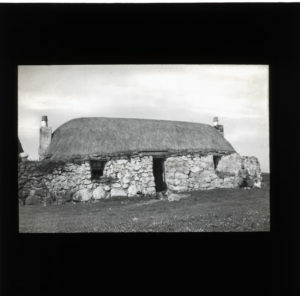 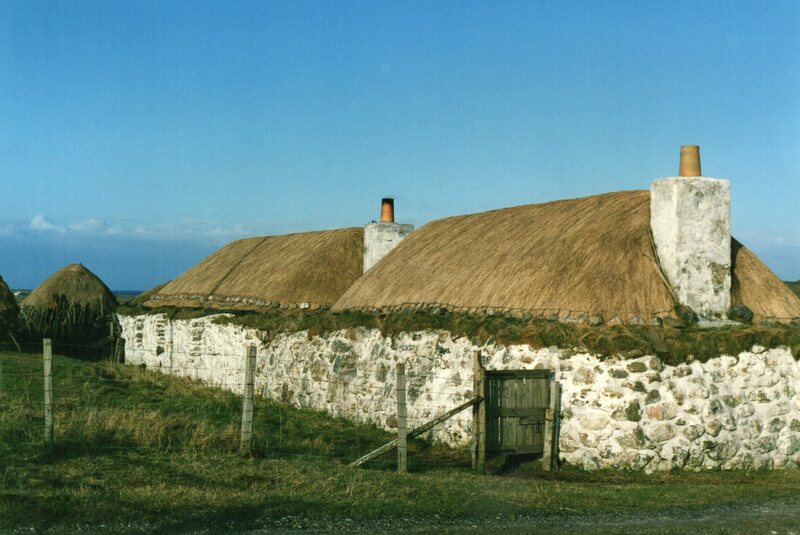 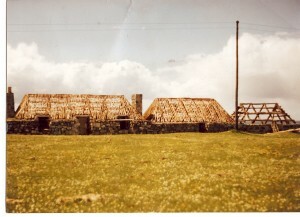 Note that since 1924, the thatched roof has been replaced with tarred felt. 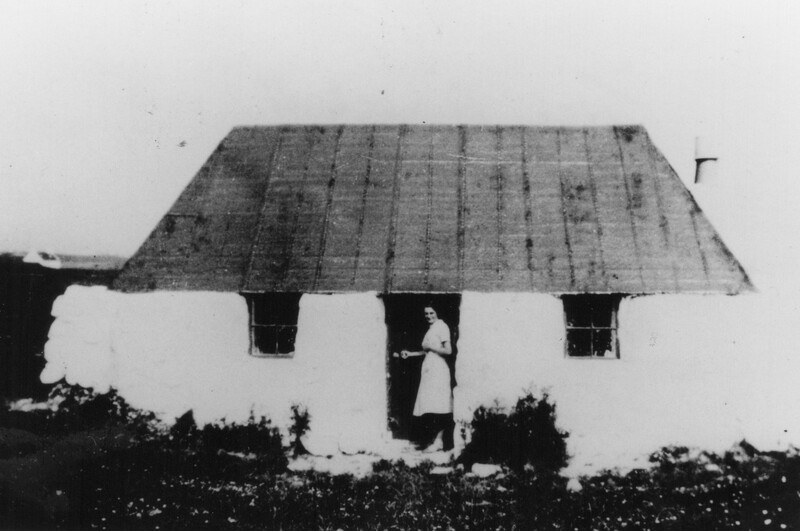 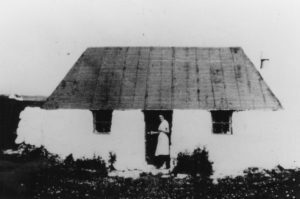 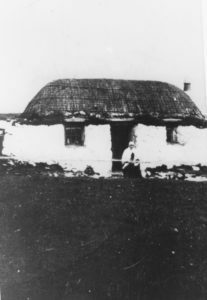 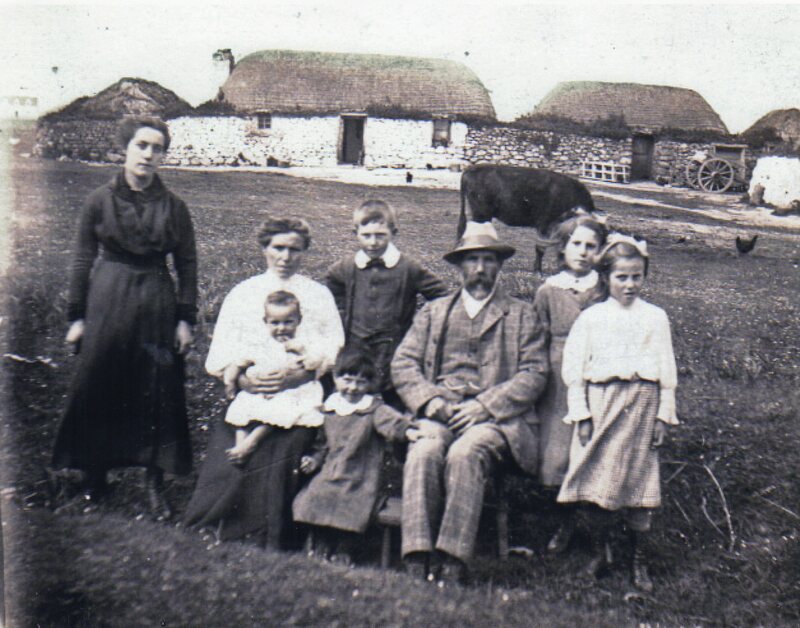 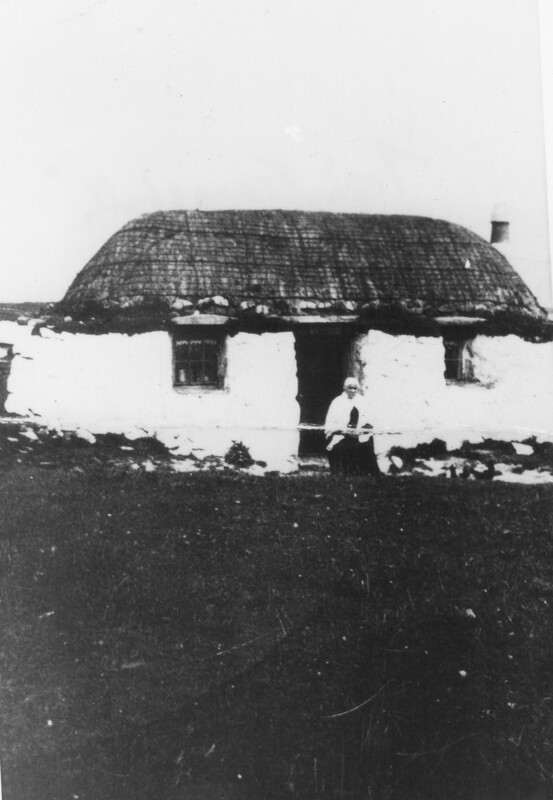 Black & white photograph of ‘Taigh Fionaghall’, Balemartine, with Fionaghall at the door, in the summer of 1924. Black-painted, iron balance beam scales from the Thatched House Museum at Sandaig. 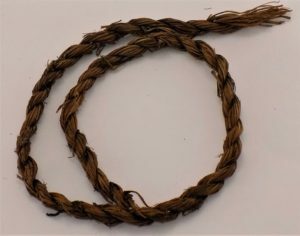 The museum closed in 2010 and many of its display items were passed on to An Iodhlann. 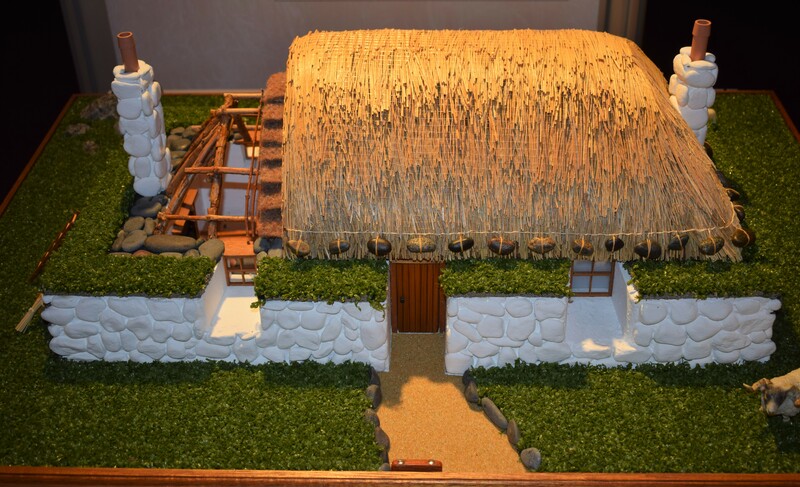 Large, scale model of the thatched house at Sandaig that was once a museum. Made by Ron Stirrat and Edward Rose in 2004, and now on display at An Iodhlann. 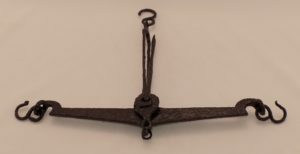 Perspex cover and rotating stand. 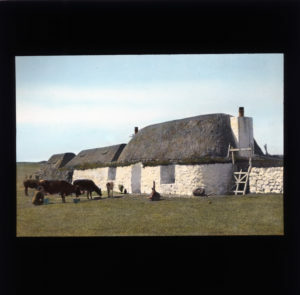 Softback book ‘Out West’ by Iain Patterson, 2017.